Serving as a Fountain Valley Chamber Director is an exceptional opportunity to help foster the continued growth and development of a highly respected organization. While serving as a Board Director requires both commitment and energy, it is a rewarding and fulfilling opportunity and a great way to give something back to the community. All directors have a fiduciary responsibility to the Chamber, meaning that they are accountable for every financial decision made. Thus, it is extremely important that Directors ask questions of the Treasurer and the Chairperson in order to fully understand the Chamber’s finances. The Chamber carries D&O insurance to protect you. The corporate powers, business and affairs of the corporation shall be exercised, conducted and controlled by a Board of Directors consisting of fifteen (15) members of the Fountain Valley Chamber of Commerce; An executive committee shall be empowered to transact all business of the Corporation between Board of Directors meetings, except for those acts specifically reserved for the Board and Membership. A Executive Committee shall be composed of the Chairperson, Chairperson-Elect, Immediate Past Chairperson and Treasurer. All newly elected Board members will become full voting members of the board at the regular November meeting. Term: 3 years or the remainder of an unexpired term. Meetings: The Board meets the third Tuesday of every month except when occasions arise that they need to be changed. The Board also holds an annual retreat in a month to be determined. Lunch is served at 11:45am and meetings begin at noon and end at approximately at 1:30pm. The nominating committee is tasked with selecting, vetting, and putting forth Board of Directors candidates for the upcoming board elections each year. 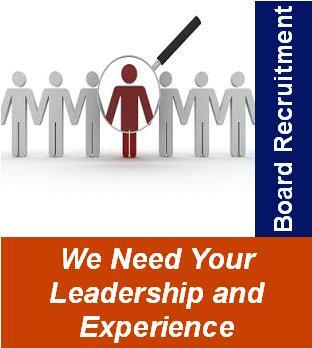 They will review all Board member applications to determine the most appropriate candidates for the ballot. They must consider the categories of membership and geographical areas that require representation. Additionally, they must consider the value that the potential candidates can bring to the Board of Directors, and to the membership, based on the applicant's background, involvement, and level of commitment. The nominating committee presents a slate of nominees to the Chamber Board and after review, to the Chamber membership. If you are interested in serving on the Chamber Board of Directors please fill out the application for the Board of Directors. The application will then be reviewed by the Chamber’s Nominating Committee. In order for the Nominating Committee to attain the best slate of candidates we ask that each applicant please complete the application in full. The application does not guarantee a nomination, but if chosen, the Chamber and the Board of Directors want to offer all candidates a rewarding opportunity to make the most of their special talents and expertise for the benefit of the entire Chamber. Scenario 1: If the number of candidates is less than or equal to the number of positions open, the board will declare those candidates elected at its November board meeting (which is always held before the annual meeting in November). If the ballot process is necessary, on the Monday preceding the luncheon, three individuals are appointed to count them and provide the counts to the Secretary for announcement at the annual meeting. A quorum is 25. Should the office not have 25 votes by close of business the Friday before the election (November 8 this year), the office will send out an email blast and make phone calls to members to ask them to vote to secure the number needed for a quorum. Nov 12: Count of mail-in/ fax-in/ hand delivered ballots. No election at the annual meeting.